Catch da Flava Magazine Online is a new evolving online magazine program. It is an on-going digital magazine/blog. We are looking for writers that are interested in being apart of the Catch da Flava Online Magazine team! Feel free to contact us and find out how you can get involved. 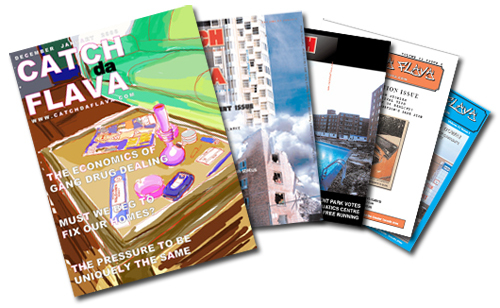 Catch da Flava Magazine was a print magazine that was produced by young people and serves as a forum for Regent Park youth to engage with the larger community and express their views on a wide range of issues. The title “Catch da Flava” speaks to the diversity of stories, experience, opinions and cultural backgrounds of young people. Each issue had a print run of 5,000 copies and were circulated to community groups and retail stores in Regent Park. The magazine was also distributed to groups across the downtown core of Toronto. View archive. 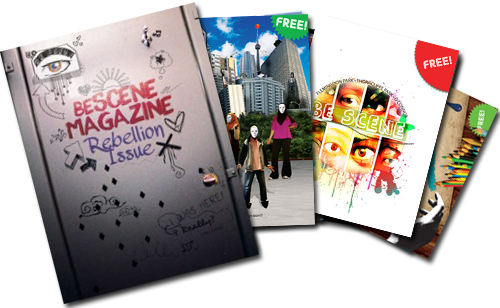 Be Scene Magazine, is a youth publication project modeled after Catch da Flava Youth Magazine. The publication was initiated in 2008 by Regent Park Focus in partnership with the Flemingdon Health Centre and serves the neighbourhoods of O'Connor-Parkview, Thorncliffe Park, and Flemingdon Park. Be Scene serves as a forum for youth to creatively express themselves, learn media literacy skills, and engage critically and powerfully in community life. View archive.